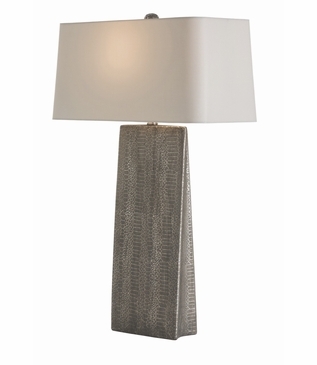 The tapered rectangular shape of this porcelain table lamp lends itself to spaces that demand a smaller footprint on the surface: nightstands, buffets, and credenzas. 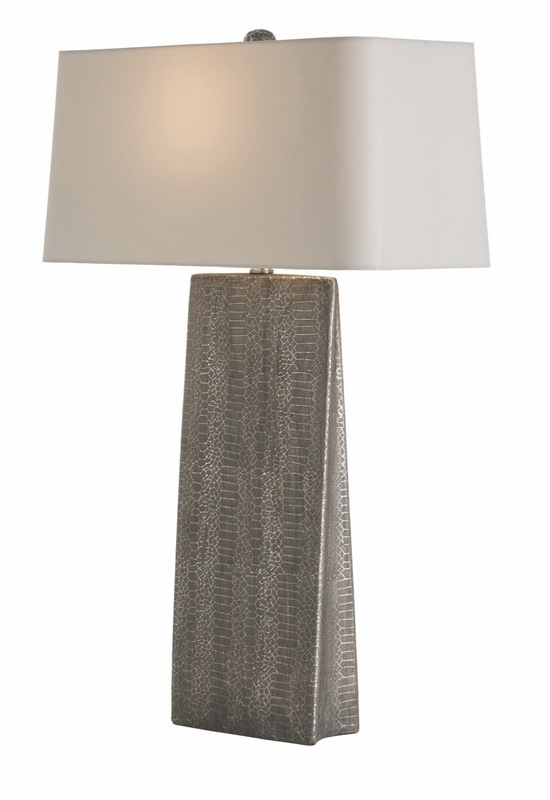 Its snakeskin pattern in finished in metallic grey. Topped with a light grey metallic shade. 1-150W maximum, 3-way socket.